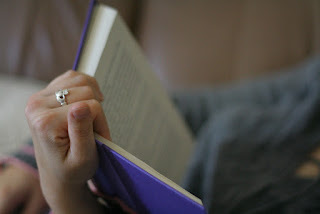 Winter break is right around the corner, which means more time to visit the Library! Well, we certainly hope to see you around. Here are just a few of the programs you can enjoy in the very near future. If you watch a lot of CSI/crime shows, or you're interested in forensic science as a possible career, this program is for you! Jeff Gentry from the Fresno County Coroner's Office will give an interactive introduction to this field of work. Twice a month, you can catch free showings of superhero movies at FCPL's Woodward branch. The next event will be 12/7. Click here to see the movie schedule. 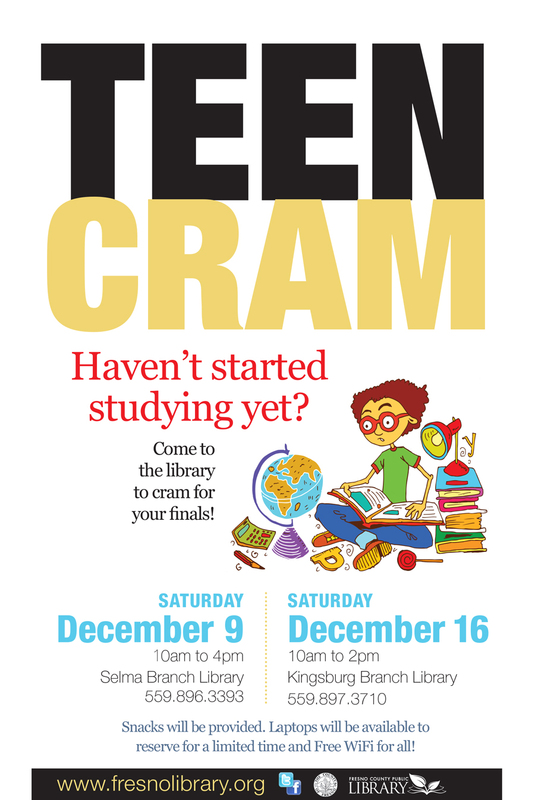 Study for your finals at the Library! Snacks will be provided, the WiFi is free, and laptops will be available to reserve for a limited time. Bring your warriors, elves, wizards, and hobbits for adventures in new lands and realms; plus, learn about the battle systems, how to create characters, and how not to become lunch for an ogre! If you live in or near Clovis and you want to hang out with other people just as crazy about books as you are, join the Lit Wits Book Club! The Club's next meeting will be on 12/21. End 2017 on a high note! 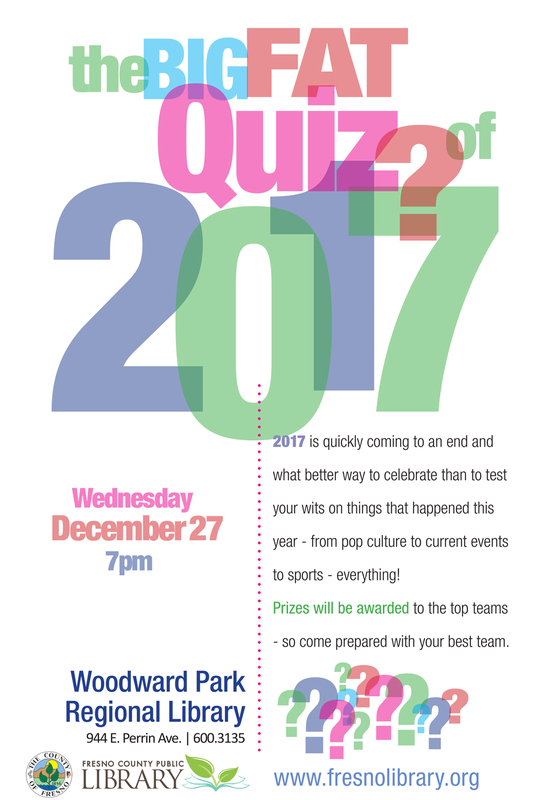 Join us at Woodward to reflect on the passing year with a trivia night, featuring all things 2017 pop culture, current events, sports, etc. Bring your best friends and battle it out for prizes! Check the calendar for even more opportunities, including some holiday fun!